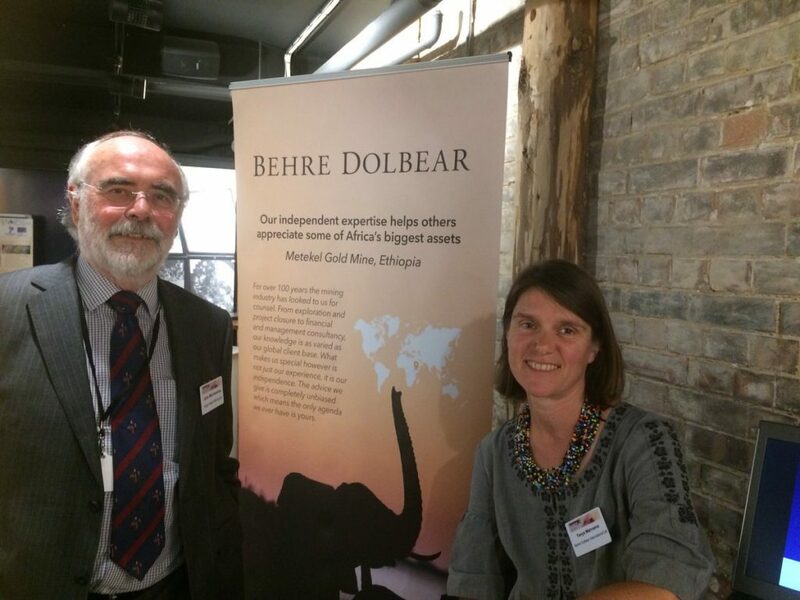 Behre Dolbear has exhibited at IOM3 Conference, London, UK, last week. Tanya Matveeva has presented a talk named “Importance of Geology for Mineral Processing – examples from projects in Russia and Kazakhstan”, which was well received by the audience. 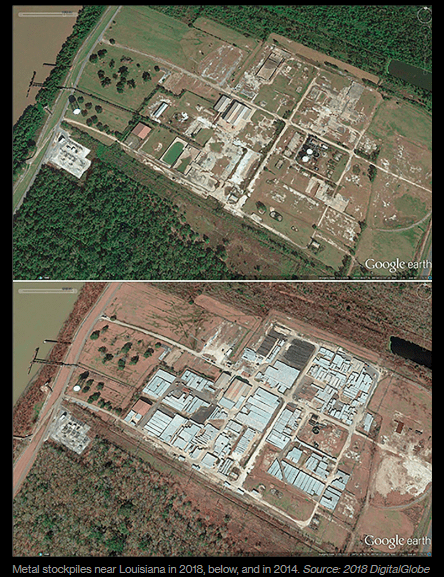 Castleton is said to start selling stockpiled metal in U.S.
Two years ago, a commodity trading house started stockpiling thousands of tons of aluminum near a bend in the Mississippi River outside New Orleans. JOHANNESBURG (miningweekly.com) – Worldwide, the mining industry has been recovering from the slump that started in 2012. 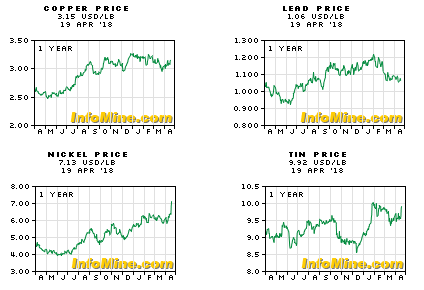 “After a challenging 2013/14 when the prices of commodities plummeted across the board, 2016 and 2017 have seen resurging prices for aluminium, copper, zinc, nickel, lead, palladium and, more modestly, gold,” observed Dr Remi Piet for Americas Market Intelligence in January. 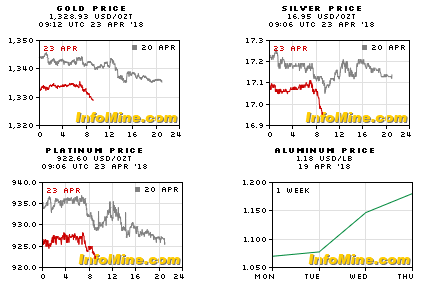 BEIJING, April 23 (Reuters) – London aluminium prices rose by as much as 1.7 percent on Monday as a rally driven by supply concerns after the United States slapped sanctions on Russian producer United Company Rusal regained momentum. 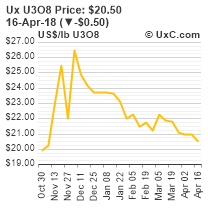 The metal had closed down in the previous two sessions but is still up by around 25 percent so far this month. “In general it seems that the markets and indeed its participants all coped with the ‘storm’ and now it is a case of letting the prices find a new level at which they are comfortable,” Malcolm Freeman, CEO of Kingdom Futures, wrote in a note. However, the possibility of Germany going into a recession may well see prices “testing the downside once again,” he added. 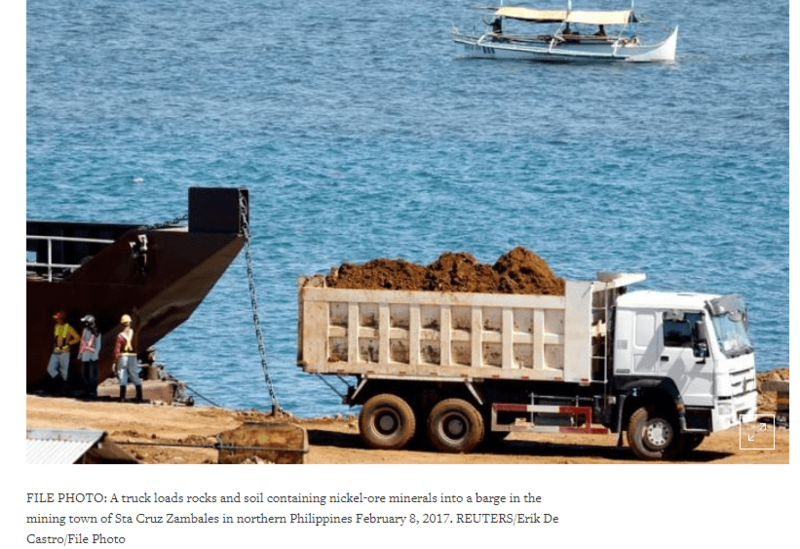 MANILA (Reuters) – The Philippines is planning to limit the amount of land that miners can develop at any one time to boost environmental rehabilitation, a move that miners say may cut output of nickel ore in last year’s top supplier to China. The new curbs, contained in a draft government order reviewed by Reuters and confirmed by senior officials, follow a crackdown last year that has left more than half the country’s mines facing suspension or closure due to environmental breaches. President Rodrigo Duterte, who warned miners to follow tighter environmental rules or shut down shortly after he took office in 2016, has so far upheld a ban on new open pit mines, despite a push by senior officials to soften the policy. The latest move will initially target the country’s 30 nickel mines, which made up more than half of the country’s 50 operating mines as of end-2017. But officials say it could eventually extend to other metals. Miners will be limited to a production area ranging from 50 to 162 hectares (124 to 400 acres) at any one time, depending on their size of production and whether they have a processing plant, according to the draft government order. South Africa has sought leave to appeal a court judgment earlier this month over a crucial black-ownership principle in the country’s Mining Charter, the nation’s mining lobby said. The Chamber of Mines has been notified that Mineral Resources Minister Gwede Mantashe and the Department of Mineral Resources filed the application, it said in a statement Monday. The High Court in Pretoria on April 4 ruled that the first two versions of the country’s charter didn’t require producers to top up black-shareholding levels in perpetuity if they previously met the minimum 26 percent requirement. 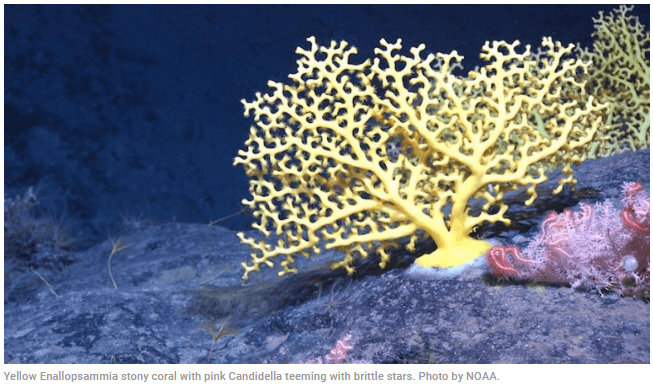 “The chamber is currently reviewing the specified grounds of appeal, although the DMR’s appeal appears to center on the majority judges obiter dictum comments about the legality of the 2010 charter and the enforceability of the charters,” the lobby group said. 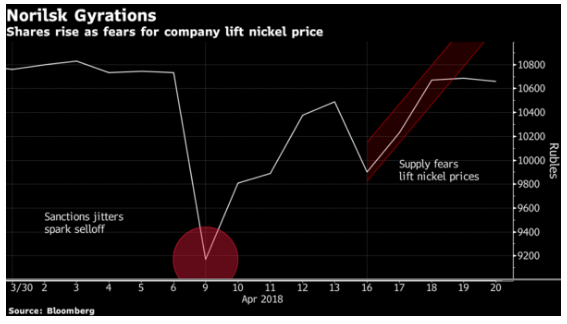 Here’s a good one to file under market absurdity: Russian mining stock Norilsk Nickel has been climbing this week because nickel prices rose on speculation Norilsk Nickel is under threat from sanctions. This is how it happened: First, traders sold the stock after the White House shut fellow Russian metals company United Co. Rusal out of international markets. Metals investors then drove up the price of nickel on concern that global supply would be damaged if Norilsk — one of the world’s biggest producers of the commodity — suffered the same fate as its Russian peer. Assessing what the jump in the metal price means for Norilsk’s profits, stock traders then piled back in. Weirder still is the confusion that’s been driving some of the big moves in nickel prices. The commodity climbed as much as 12 percent on Wednesday when two of Norilsk’s defunct brands were delisted. The move had been flagged months before, but jittery traders jumped to the conclusion that sanctions might be pushing the company out of the supply chain. “We have developed a simple technology which uses a special type of gold nanoparticle attached to different antibodies, which can stick to different proteins on a wide variety of circulating tumour cells. 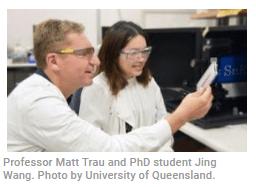 These nanoparticles emit a unique barcoded signal when hit with laser light, and this signal changes ever so slightly if that nanoparticle encounters a circulating tumor cell and sticks to it, making them easy to detect,” said UQ’s Australian Institute for Bioengineering and Nanotechnology PhD student Jing Wang in a media statement. 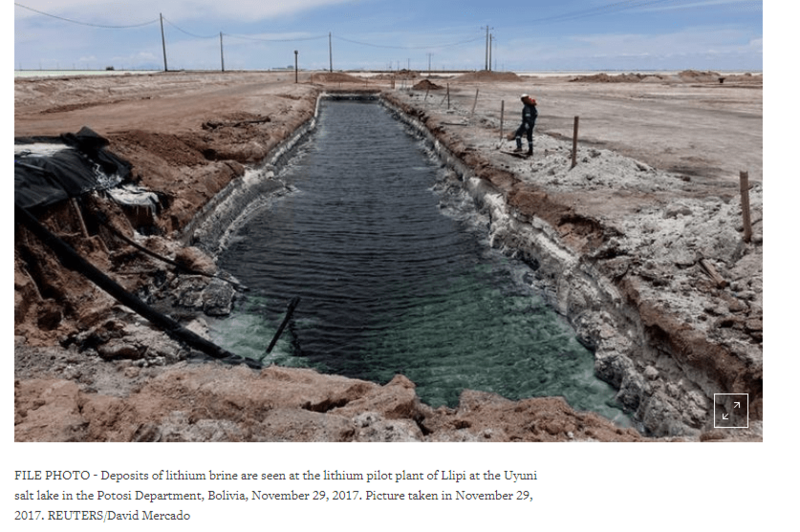 LA PAZ (Reuters) – Bolivia will manufacture and market lithium batteries along with German company ACI Systems GmbH, which will invest $1.3 billion in the project, the country’s manager of the lithium deposits told the Bolivian state radio on Saturday.